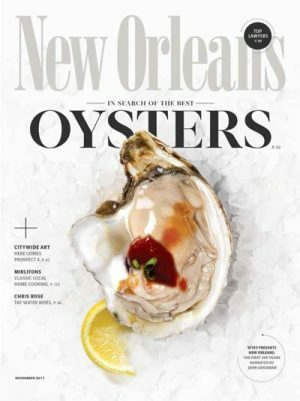 New Orleans magazine is a monthly lifestyle publication celebrating its 50th anniversary in 2016, focusing on an editorial mix of history, food, home, health, fashion, music, opinion, local color and entertainment in New Orleans. Among its continuing annual features are Mardi Gras, People to Watch, Top Doctors, Top Lawyers, Best Chefs, Top Female Achievers, Architecture and New Orleans Best Reader Survey. Our unofficial motto is that No one knows New Orleans better than New Orleans magazine. Other Publications: Louisiana Life, New Orleans Homes, Acadiana Profile, On Stage, St. Charles Avenue, New Orleans Bride & Custom Publishing.